Do you wonder what cats are trying to say when they meow? Watch this video to find out! 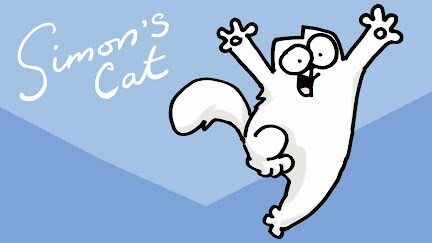 Simon’s Cat Logic is a series where we speak to a Cat Behaviour Expert Nicky Trevorrow at Cats Protection (http://www.cats.org.uk) about why cats do the things they do! SUBTITLES AVAILABLE IN: English, German, Russian, Italian, French, Polish and Brazilian Portuguese. Simon's Cat is a black and white animated series featuring the mischievous antics of a fat white cat, a very cute kitten and their tireless owner Simon.